APPLICATIONS ARE OPEN FOR THE 2013-2014 FIELD SEASON! 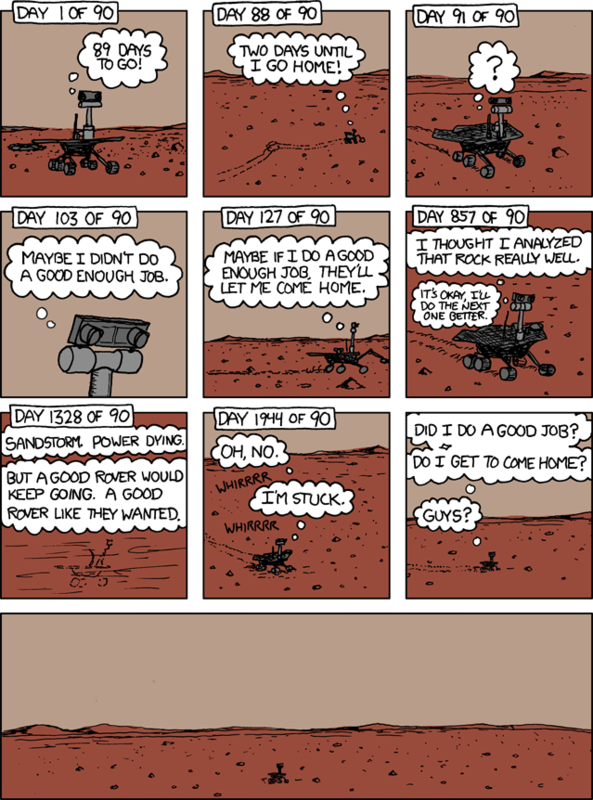 I think we all wish we could be as cool as the Mars rover, Curiosity. Who wouldn’t want to be trailblazing in a new and strange land, ‘doing a science’, or forging ahead against the unknown. Afghanistan is surely an unknown, strange land; a land where as you may know, I will be spending the next year. I feel some kinship with the Mars Science Lab. Unlike MSL, though, I will get to come back home from my desert wasteland. With all the things Curiosity and I will be learning this year I have decided to blog the whole experience. In keeping with my new perspective, and because counting days makes me feel like i’m making chalk marks on a a prison wall, I am going to chart my journey by counting Sols. I want to remember what I love about humanity, as I have come to understand that I may be encountering the worst of humanity on my trip. We’re on Sol negative 17, or seventeen days from when I sign my orders and commit to my deployment. Today I worked on my list of online mini-courses the navy has ordered I take in preparation. I got my hearing tested and I’m learning some Dari. I’m learning everything I may need to know about an M4 Rifle, which is the weirdest thing to stick in an online course, and that says a lot after what I’ve found available online from ASU. The rest of the week I’ll be learning about the M9 pistol, Army core values and a bunch of other mind numbing but potentially life saving topics. That is Sol -17 through -14. Also the computer is in the shop, so I’m posting this from my family’s HP. The repair guy thinks its a hardware malfunction, and we can fix it before I leave. The error is most likely in the RAM, but the processor and the hard drives are not being ruled out. It doesn’t make sense this would be a software issue because it happened before and after the whole system wipe. Its only half a Martian year. Todd. By Teagan Gilbert in Blog on August 28, 2012 .